In the final days of August, U2 delivered a new single titled "The Blackout." If you can't wait until Songs of Experience to hear it in all its analog glory, the band and Third Man Records will have you covered next month. The track is getting the 12-inch single treatment as part of Record Store Day's Black Friday event, set to take place on November 24. The original track will be backed by an exclusive remix from longtime U2 collaborator Jacknife Lee. As you can see above, the limited-edition disc will arrive in two different variants. 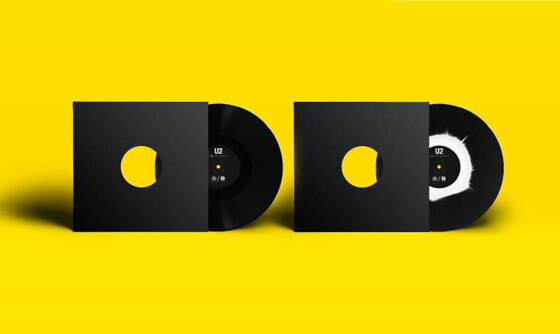 While a standard black edition will be found at all participating RSD stores, a coloured edition will be available exclusively through Third Man Records' Nashville and Detroit storefronts, as well as two locations in the UK and Ireland that have yet to be determined. U2 will deliver Songs of Experience on December 1 through Island.